There are eight races on 4 Dimensions, two from each of the four dimensions. From the Prehistoric dimensions we present to you the Fauns and Centaurs. The lost fantasy era of the Medieval times gives you Dwarves and Elves. From the Old West comes the humanoid Gringos and Indians. The legendary Space Wolves from Varna and Martians of Mars are brought to you from the Future. Each race comes with its own advantages and disadvantages based off the human standard. Every race also has certain equipment wear spots that are unique for that race. Be careful however, once you’ve picked your race it can not be altered again. Or only at the price of one gold token or 5000 Tradepoints. Centaurs hail from temperate forests and are generally mild mannered, but when provoked, can cause a massive amount of damage with their hooves and weapons. Centaurs are the proverbial half man, half beast of legends, with the torso and head of a human and the body of a horse, blending from one to the other where the normal human hips would be. Their horse half tends to be more like that of a Clydesdale than a thoroughbred, but when fighting is no longer an option, they have the speed to outrun most of their enemies. Their horse hide gives them a natural bonus to armor. 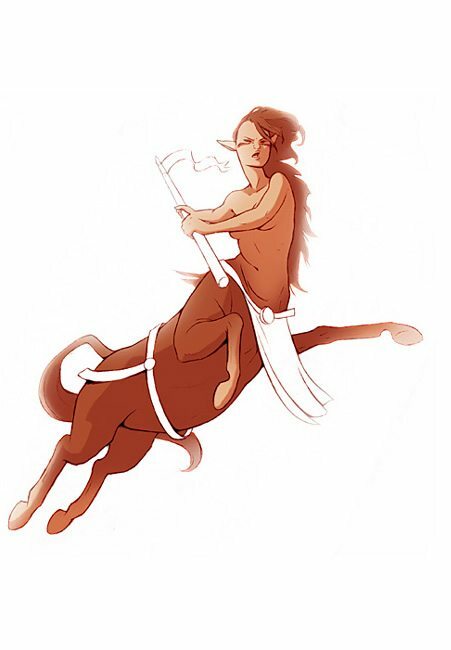 Centaurs are the only race that can be ridden by other players, but they cannot ride other players or mounts (though they can use vehicles). Carefree and easy going, fauns spend most of their time dancing and playing the flute as followers of the forest god, Pan. Some become adventurers, searching for the ever elusive “greatest party that ever was.” The appearance of a faun can be startling for those that have never seen them as they have an upper human body, but the legs, stubby tail and horns of a goat. Preferring the perfect party to fighting, fauns are not as strong or intelligent as humans, but their balance rivals that only of the Martians. Once someone gets to know a faun, it is almost guaranteed that they will become friends because of their charismatic nature. Having lived most of their long lives in underground caves and caverns, dwarves have developed the ability to see in the dark. 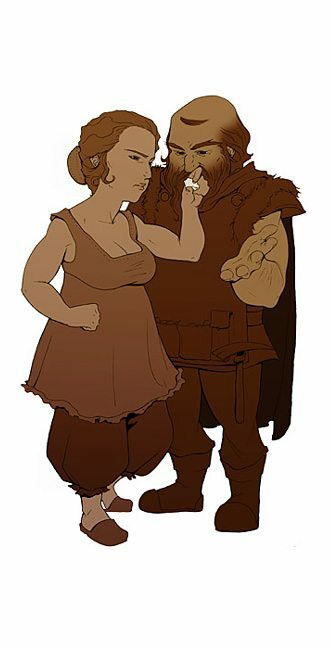 From the time they are able to hold a pick in their chubby little hands, dwarves have mined the riches out of the earth. Their short, rotund shape make them less dexterous than humans and their workaholic since childhood nature makes them a little less intelligent. But the strength and vitality of Dwarves are to be admired, being able to take on two men at once and hold their ale much better than the average man. Dwarves tend to view elves as tree huggers which they have no use for. There are a few stories of some dwarves and elves working together to take down tougher foes, though the truce is usually short lived. Natural spell casters, elves have a deeper understanding of the balance of life (magic) and the power of death. 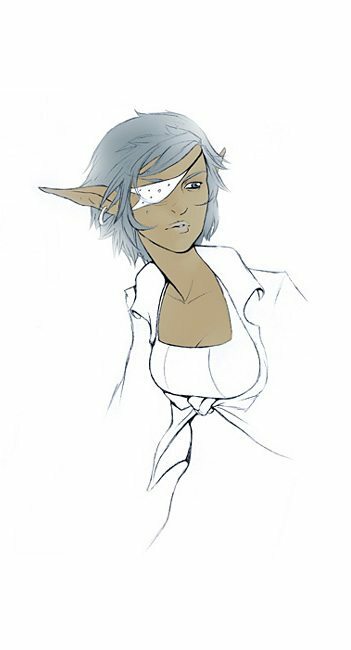 Elves tend to be just a little shorter and more lithe than humans and thus are not as strong or have as much vitality as humans do. Because they are living relics of the lost fantasy world of Medieval times, they have learned more than any human could possibly hope to learn in their entire life. They prefer woodlands to cities, but realize that cities can beneficial in their own way – just so they do not encroach farther into the woodlands. The wood dwelling Elves are natural enemies with the cavern dwelling Dwarves, though a few, very few, have been known to travel together. Gringos are what the white, English speaking humans were called in the wild west. They were the intruders onto Indian lands and neither had any use for the other. Natural enemies over the fight for the land, Gringos and Indians were constantly at war. One believed the land could be bought, the other that it could never be owned. Gringos are the “normal” being upon which all other races are measured. They are well balanced and have no excessive advantages or disadvantages. Indians, like Gringos, are a human race and are thus well balanced and have no excessive advantages or disadvantages. They are a fierce and proud people who are willing to share what they have, but can be your worst enemy should you dishonor them. They are natural enemies with the Gringos who insist on trying to buy the land upon which they live. The land that belongs to the Great Father can not be bought and it is up to the Indians to stop the desecration of those sacred lands. Martians come from the red planet Mars. 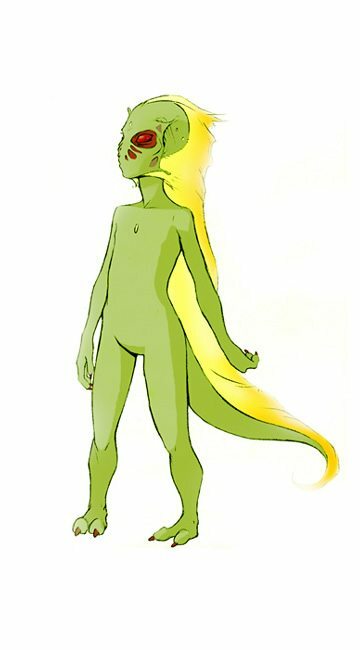 They are small compared to humans, their skin is green and they have developed antennae to help them sense things that others can not. Because of their small stature, Martians are not as strong or have as much vitality as humans, but their balance is rivaled only by the carefree Fauns. The great intelligence of the Martians have helped them develop basic ESP powers which they can use on their enemies. Since Martians do not respire (breathe), they are able to enter space without a spacesuit and can swim underwater without a breathing apparatus and not take damage. Hailing from the planet Varna, the Space-Wolves have evolved in a harsher climate than Earth. They look a lot like the wolves they are named after – coarse fur, long snout, pointed ears and bushy tail – the difference being they walk on their hind legs instead of all fours. The harsh climate and stronger gravity of Varna have given the Space-Wolves higher strength and vitality than earthlings, and they seem to be able to shake off some attacks that would knock others down. They’ve never been able to adapt completely to the earth environment and because of this, their balance and earthly common sense are a bit diminished.